The Olympics are here! I am sure most of you are glued to your TV every night watching the events or simply setting your DVRs to record. Regardless of your methods of watching the most lavish Olympics in history, you are probably wondering how it would feel if you had an opportunity to be in Sochi for this event. Although I can’t necessarily tell you how it would feel to be in Sochi right now, a lot has changed since I last vacationed there, I can tell you about the food that you would more than likely eat if you were there. 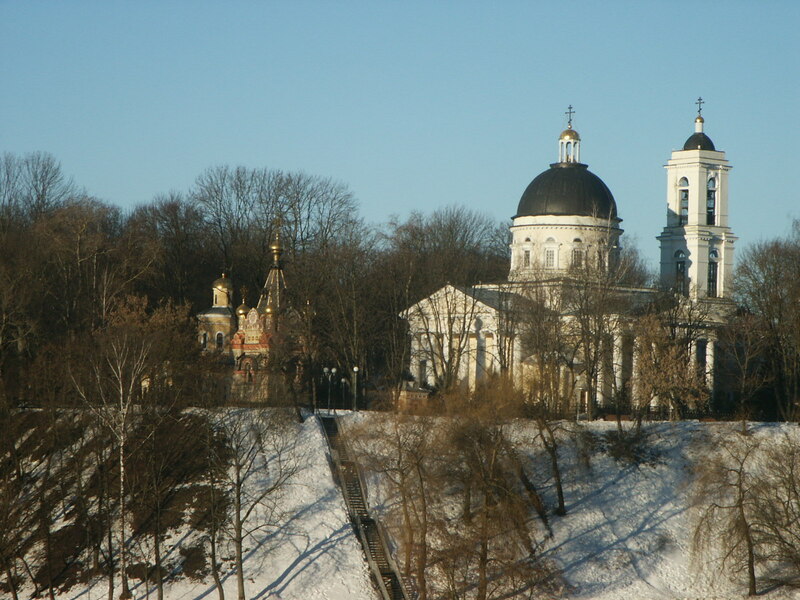 The climate, terrain, and social instability had a tremendous impact on Russian cuisine. Traditionally, Russian food is fairly simple, high in calories and extremely fatty. Russian cuisine is a cuisine of necessity constantly adapting to the newest political regime and the shortages that come with it. However, if you were in Sochi for the Olympics, you’d never know that you have left the Western world and are deep in the Russian Federation. From what I see and hear, the city has been rebuilt, cleaned up, and dressed up. Although some typical, bone-headed construction mistakes have been made, some locals pissed off, and the city lost some of its “character”, it has been turned into something that the rest of the world will be talking about for decades to come. This is one of the most popular Russian dishes that makes its appearances at almost every special occasion on every Russian table regardless of which country you are in. If it is a Russian celebration of any kind – expect Olivier. Olivier is a salad named after its creator– Lucien Olivier, a head chef at the Hermitage restaurant during the early 1860’s. Originally the salad was made with grouse (gamebird), veal tongue, caviar (red), a lettuce variety, crayfish tails, boiled potatoes, cornichon, smoked duck, capers and dressed with an house special dressing that closely resembled modern day Russian mayonnaise (yes, Russians mayo is very different). According to the rumors, the dressing consisted of French wine vinegar, mustard (probably Dijon style), and olive oil from Provencal region of France. Although the exact proportions are unknown, many chefs attempted to recreate it skyrocketing the popularity of this dish. As the time went by and the political climate of the country changed, so did the salad. Some of the ingredients became hard to find or only accessible to a wealthy few. The salad evolved. The capers were replaced by pickles, veal tongue was replaced by the cow tongue (when available) or bologna, red caviar was replaced by carrots (the only similarity is color), lettuce was replaced by peas, and the duck and grouse were almost entirely avoided or replaced by chicken. Of course the dressing that made this salad famous was lost forever after Chef Olivier passed away and was replaced with Russian mayonnaise. Even with the inferior ingredients, this salad still remains one of the go-to Russian comfort foods for comrades all over the world. Having grown up in the former Soviet Union, I am a big fan of this delicious dish. However, since I don’t fight bears or live in subzero temperatures, consuming thousands of calories in one sitting isn’t something that I can afford without busting out of my pants. When I started writing Fierce Gourmet: A Fit Foodie’s Cookbook, this salad received a much needed makeover to satisfy the cravings of every fit Russian food lover without adding thousands of calories to their day. This dish is common to the entire Eurasian continent. In short a combination of pork, lamb, beef, and starch (usually rice or barley) is rolled inside a lightly steamed cabbage leaf. The rolls are then placed inside a pot, Dutch oven, or a pan and are baked, simmered or steamed. The dish is usually served with some variety of sauce that is largely dependent on the region where the dish is served. 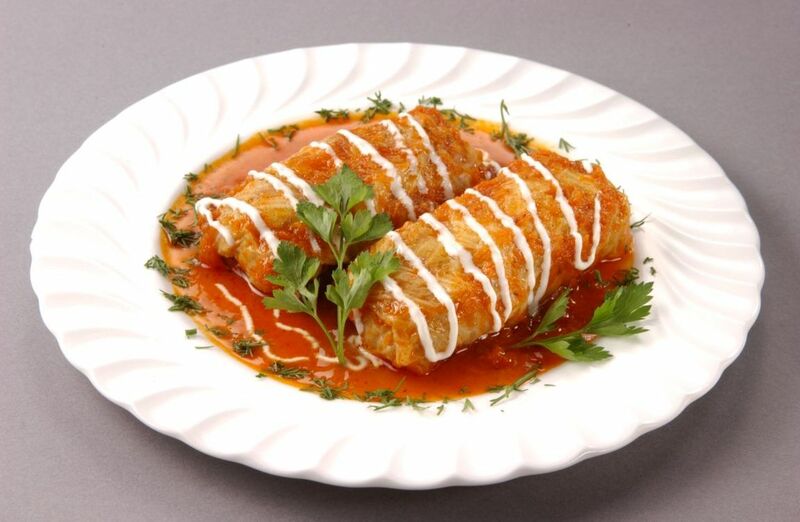 If you are in Russia, one of the most common methods of preparing Golubzi is with a combination of pork, lamb, beef, rice or barley, and white onion which is tightly rolled inside a white cabbage leaf and simmered in tomato sauce for hours. The dish is usually served with a big dollop of rich sour cream, rye bread, and an ice cold shot of vodka. If you have the opportunity to savors this incredible creation, do it. You will not be disappointed. Of course, if you are watching your calories and would still like to enjoy some traditional Russian food, I recommend substituting the red meat for a combination of ground chicken and turkey spiced with some chili powder, onion, and parsley. Instead of white rice, try brown rice or quinoa and instead of using white cabbage, try Napa cabbage. Napa cabbage leaves are easier to work with, deliver more phytonutrients than white cabbage, and look significantly better after hours of simmering in tomato sauce. When this dish is cooked Fierce Gourmet style, it offers a wide range of necessary nutrients including vitamin C, D, A, and K, loads of lean protein, lycopene, and complex carbohydrates all wrapped up in a convenient half serving pockets of delicious joy. This is one of my favorite post run meals. In addition to being highly nutritious, this meal freezes well for those days when you just don’t have the time to cook. So, if you are hungry and in the city of Sochi, try this dish! If you are at home at would like to eat like a Russian Olympian, email me and I’ll send you the clean eating recipe! Otherwise, look for this recipe on this blog in a few weeks. Vinegret (not to be confused with vinaigrette) is a traditional winter salad and one of the few salads in the Russian cuisine that isn’t dressed with mayonnaise. Just like so many other Russian dishes, Venegret is a salad of necessity. It first appeared during the beginning of the communist era when fresh vegetables were hard to come by. Many chefs of that time relied on frozen or canned vegetables to produce many of their creations. The salad features beets, beans, pickles, onion, peas, potatoes, and pickled cabbage (much like sauerkraut but sweeter with a different acidic profile that is more reminiscent of rice wine vinegar). This salad hasn’t changed much over the years and much like Olivier is one of the holiday favorites. Although not as heavy as Olivier, this is by no means a light meal. Vinegeret is traditionally dressed with unrefined sunflower oil, a highly caloric, fragrant oil. This dish is usually served as an appetizer to chase the first few shots of vodka before the meal begins. Of course, I have created a fit version of this salad that maintains the traditional Vinegret flavor profile. 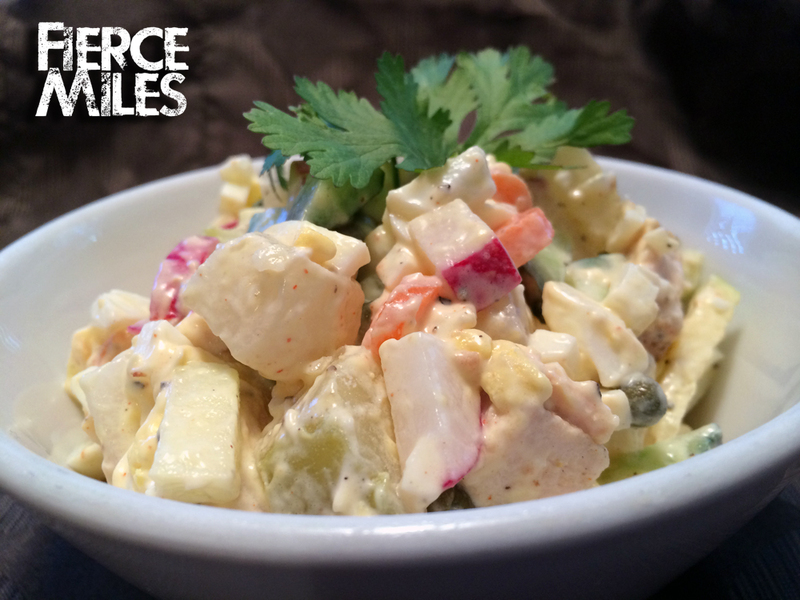 Give this salad a try whether you are in Sochi or in Dallas! Depending on who you ask, these dishes will undoubtedly make the top ten favorites on every Russian’s list. You might also hear about such dishes as: Pelmeni (veal dumplings), Piroshki (baked, portable, meat pies), Seledka pod Shyboi or “hearing in fur coat” (an immensely popular holiday fish dish), Holodez (jellied minced meat) and Katleti (“burger patties” that are eaten without buns or garden). Despite the common misconception, Russian cuisine is incredibly flavorful and features simple but hearty ingredients. Due to the turbulent past, Russians are very good at practicing nose-to-tail eating as well as adapting their cuisine to, often times, volatile political and cultural shifts. Although the country is almost completely westernized at this point, the evolution of Russian cuisine remains to serve as a reminder of the scary past and a beacons to the brighter future. Posted on February 10, 2014, in clean eating, eating clean, food for the athlete and tagged clean eating, diet, fit diet, golubzi, healthy food, holodez, lean protein, olive, oliver, olympic athlete diet, olympic food, olympic games, olympics, olympics 2014, pelmeni, piroshki, potatoes, russia, russian cooking, russian diet, Russian food, russian food in sochi, russian food lite, sochi, sochi food, sochi2014, stolichni salad, traditional russian food, vinegeret, vodka. Bookmark the permalink. Leave a comment.